Navratri Surprizes - PRIZES WORTH RS. 1.6 CR* UP FOR GRABS! Guarantee For the Best Deal !! ATS Pristine presents to you ultra-modern luxurious residences developed by ATS Infrastructure. Sprawling over a large area, this project has been designed with 3BHK and 4BHK flats with commercial complex and offers villas as well. ATS Pristine has a number of high-rise residential towers in Sector 150, Noida. ATS Infrastructure presents exclusive homes with extreme care for the environment that undergoes safety measures that guarantee a happy living. It helps you in getting a luxurious life. Where is ATS Pristine located? Sector-150, a prime residential locality for house seekers in Noida. What is the area of apartments in ATS Pristine? The area of apartments offered in the project ranges from 1000.0 sqft to 4000.0 sqft. What is size of 2 bhk in ATS Pristine? 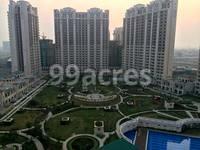 The area of 2 BHK apartments is 1000.0 sqft. What is total area of 3 bhk in ATS Pristine? 3 BHK units in the project are available in a size of 1750.0 sqft to 2300.0 sqft. What is the area of 4 bhk in ATS Pristine?  The size of 4BHK units in the project ranges from 3000.0 sqft to 3200.0 sqft. What is the total area of ATS Pristine?The project spans across 23.0 Acres. ATS Infrastructure Ltd. is a well-established builder group. Founded in 1998 in Noida, ATS has managed to build an impeccable reputation in a short span of 15 years through quality homes and their timely delivery. The group's operations are spread across NCR, Goa, Dehradun and Chandigarh. Ranked among the top developers of the country, ATS has introduced some distinguished residential projects and with special designs by the likes of Oru Bose and Hafeez Contractor, ATS ventures have set sky-high standards. I am willing to invest Rs.80 lakhcs in a property for a long-term, will ATS Pristine be a good option? Hi, ATS group has a good reputation in the market owing to timely project deliveries and top notch construction quality. For these reasons, ATS Pristine is also expected to see tremendous growth in ask rates in the future. Overall, its a good investment. Hi, ATS Pristine is a good investment option owing to its more than 50% value appreciation since its launch in 2013. The proximity to Noida-Greater Noida Expressway and other corridors along with excellent connectivity to the employment hubs, social amenities of Noida and Greater Noida makes it an attractive option for residence. The property value will surge strongly once the aqua line metro connecting this locality will become operational. Also, as the rental rates in the project range between Rs.15000-50000, your investment will help you earn a good rental yield as well. How is the social infrastructure in the locality of ATS Pristine? Hi Kalyan, ATS Pristine is premium developments by ATS developer,Spread over 18 acres of land, the project is located in Sector 150, Noida. ATS Pristine nestles close to major sports, corporate and educational hubs. It offers spacious 3 and 4 BHK apartments equipped with all the necessary amenities. Sector 150 is One of the most comfortable areas in Noida, Sector 150 has some great Villa, Apartment and Plot for sale. Sector 150 is surrounded by developed areas such as Chi 2, Chi 3, CHI 4, CHI 5, Omega, Phi, Sector 151, Sector 153, Tech Zone and Sector 152. Overall 10 Builders are providing Villa, Apartment and Plot projects for sale in Sector 150. The top builders are ATS, The Antriksh Group, Mahagun, Sethi Group, ACE Group, Tata Value Homes, Alpine Housing, NS, Home and Soul and Lotus Greens. Hi, situated in the sector -150 of Noida, ATS Pristine seems far off from the main city of Noida. The locality is still developing and has no basic facilities available and for everything, one needs to either go to Greater Noida or central Noida. Also, the region has no public transport facility available, the nearest metro of sector-148 is located 4 km away which is yet to be operational. The proximity of sector-150 to the Noida-Greater Noida Expressway is what provides connectivity and accessibility to social infrastructure. Suggest you to visit the site and explore the area properly considering your requirements before taking the final call. Hi Kalyan, ATS Pristine is a residential development located in the greenest sector-150 of Noida. Located close to Noida-Greater Noida and National Highway 91, this locality enjoys good connectivity to its neighboring areas via major transport corridors such as Noida-Greater Noida Expressway [10 min], Yamuna Expressway [15 min], Faridabad-Noida-Ghaziabad [FNG] Expressway. Positioned close to the Noida-Greater Noida expressway, makes it easy to access the major educational, medical and recreational facilities of the nearby region of Greater Noida which include RPS International School [2.5 km], Delhi Scottish School [4 km], MSX Mall [6 km] Omaxe Connaught Place [10 km], Grand Venice mall [6 km], Kailash hospital [7 km].